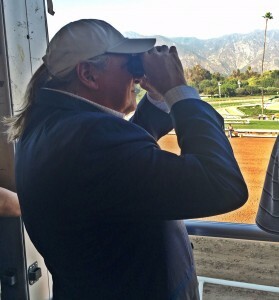 2 Roadster Bob Baffert Mike Smith 1st in SA Allowance Santa Anita Derby on 4/6/19? Can He Take Big Step Forward in Next Out? 4 Code of Honor Shug McGaughey John Velazquez 1st in G2 Fountain of Youth G2 Florida Derby on 3/30/19 Big Race This Week / Can He Duplicate Big Run? 6 Improbable Bob Baffert Drayden Van Dyke 2nd in G2 Rebel Stakes 1 Arkansas Derby on 4/13/19 Was 2nd in Rebel Better Than Looked? 9 Galilean Jerry Hollendorfer Flavien Pratt 3rd in G2 Rebel Stakes – 1 Undecided Wasn’t A Bad Effort Facing Open Company / Next? 10 War of Will Mark Casse Tyler Gaffalione 9th in G2 LA Derby Undecided Lost Footing Leaving Gate / Injured in LA Derby / Next? 11 Long Range Toddy Steve Asmussen Richard Eramia 1st in G2 Rebel Stakes — 1 Arkansas Derby on 4/13/19 Came Running Late / Nice Effort / Can He Duplicate? 12 Sparky Ville Jeff Bonde Joel Rosario 1st in G2 San Vicente Stakes Skipped Sunland for a Work What’s Next For This One? It’s Race Time. 13 Instagrand Jerry Hollendorfer Javier Castellano 3rd in G3 Gotham Stakes Santa Anita Derby or Wood? Could Improve Off Last Out / Then What? 15 Harvey Wallbanger Ken McPeek Brian Hernandez 1st in G2 Holy Bull Stakes G2 Florida Derby on 3/30/19 Training Very Well For This One / Can Duplicate? 20 Standard Deviation Chad Brown Irad Ortiz 2nd in GP Allowance G2 Florida Derby on 3/30/19 Been Working Steadily in South Florida / Ready? 4 Somelikeithotbrown Mike Maker Tyler Gaffalione 1st in G3 Jeff Ruby Steaks Undecided Turf to Poly — Check / Can He Convert to Dirt? 7 Roiland Tom Amoss James Graham 6th in LA Derby Undecided Still Slow to Start / Picked Up Pieces / Next? 8 Aquadini Dallas Stewart Corey Lanerie 2nd in FG Allowance Undecided / Blue Grass Stakes on 4/6/19? Well Bred / Developing Late / Enough Time? 9 Country House Bill Mott Luis Saez 4th in LA Derby Undecided Wide Trip, But No Threat in LA Derby / Disappointing? We are at that time of year where things should begin to clear up, along this long and tumultuous “Road to the Kentucky Derby.” We are at the stage in the path where the “pitch forks” in the road start to turn into just curves. We are at the point where the potholes should begin to be filled in. We are at the point where the questions turn into answers. It must be a late Spring. And, each week, it seems, we are driving faster and faster down a one-lane highway at midnight — with the lights off. Several weeks ago, on March 2, the 30-to-1 longshot Harvey Wallbanger upset the bandwagons along with the apple cart in winning the Holy Bull Stakes at Gulfstream Park. Things have only gotten crazier since then. Later on the card and on the same day as the Holy Bull (on March 2), Code of Honor — who had made more news by the races that he had missed more than the races that he had made and was a one-time winner — got a perfect trip to win the Fountain of Youth at Gulfstream Park at odds of nearly 10-1. A week later, on March 9, Tacitus — who had only broken his maiden — won the Tampa Bay Derby at odds of nearly 9-1. The very same day, Haikal — a relative unknown — upset the highly-acclaimed Instagrand in the Withers Stakes at odds of nearly 5-1. A week later, on March 16, Long Range Toddy — who had previously been underwhelming, to say the least — upset the previously unbeaten Improbable in one of the divisions of the Rebel Stakes at Oaklawn Park. He was sent off at nearly 9-to-1 odds. Later the same day, in the second division of the Rebel, the undefeated 2YO Champ Game Winner — a perfect 4-for-4 — lost to the front-running, free-wheeling Omaha Beach. He was nearly 5-1 in the oddsmaker’s eyes at post time. Throw in the mix that Santa Anita just cancelled the San Felipe Stakes, altogether, sending Derby prospects scattering all over the country in search of a prep race and reeling for the lack of a venue to practice. Now, this past weekend what do we see? We see the most consistent horse of 2019, War of Will, do his best imitation of the “Twist and Shout” leaving the starting gate in the Louisiana Derby, and watch him stumble to a disappointing 9th place finish in the 11-horse field. At the end of the race, a 22-to-1 longshot, By My Standards, had captured the key, G2 Stakes event and major Derby prep. And, at the end, the biggest question was not whether War of Will would be a main contender for this year’s Kentucky Derby, it was whether or not he would be a contender at all. Only time and healing hands will give us that answer. Then, on Sunday, Mucho Gusto — another major contender from the barn of Team Baffert and the odds-on favorite to capture the Sunland Derby — raced like a horse searching a sprint rather than one prepping for a 11/4-mile distance. After setting the early fractions, as if on a suicide mission, jockey Joe Talamo was left with a wilting violet in the stretch of the 11/8-mile event. Along came Cutting Humor and Anothertwistafate to overtake the lead nearing the wire. Going into the Stakes, Cutting Humor had won a total of one race, and had finished a dismal 7th in the Southwest Stakes. Anothertwistafate’s resume going in? His only previous run over dirt had resulted in a 9th place finish. I go down this dark path with the only flashlight that I know. Despite missing some training time and having to ship, unexpectedly, to Arkansas for the Rebel Stakes, the talented son of Candy Ride missed winning the Rebel Stakes by a whisker and a prayer. A stride past the wire, he was in front. He was just that close to being 5-for-5 and still unbeaten. He is my roadmap, or, in this day and time, my Google Map. Until this week, when we get to watch the Florida Derby. Until, this week, when we hope that logic may prevail. Until this week, when we hope that the lights will get turned back on.